Google My Business Weekly Post Feature. New. 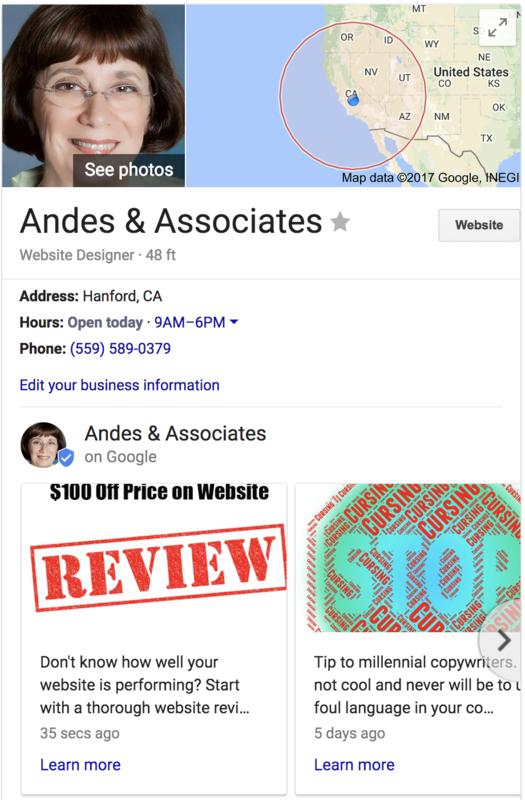 There’s a new feature Google My Business offers that local businesses should definitely use. It only takes about 10 or 15 minutes of your time weekly. 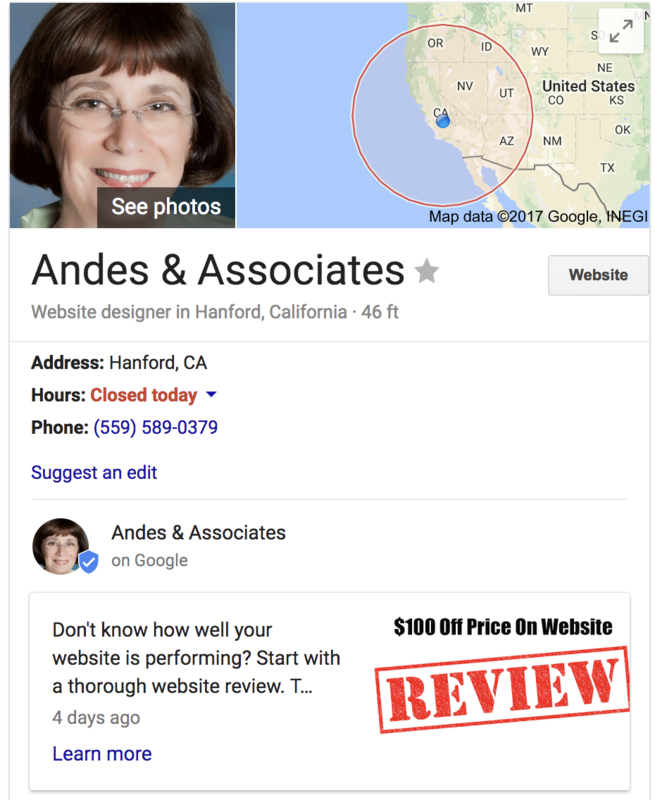 Your Google My Business listing often shows up very prominently on a search results page, usually on the right side of the page. If it doesn’t, then folks will still see it when they click on your name below the maps section. Now there’s a new feature where, once a week, you can post a special, coupon, or just feature a product for free. Plus you can place a link to your website right on the post. Here’s what it will look like. After a week, the post will expire and you’ll need to post something new. I’ve noticed if I post something before the week expires, two posts will show. 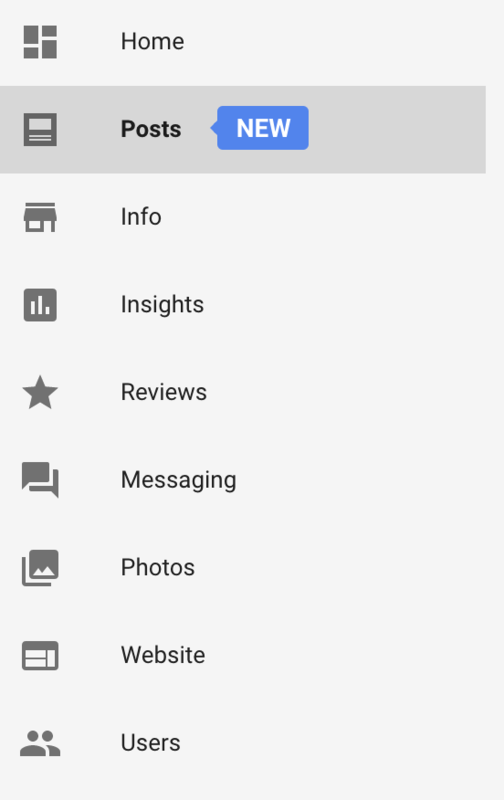 To get started, just sign in to your Google My Business page and look for the “Posts-New” link. Besides the weekly posts, they also have an option for an Events post which will last as long as the dates you enter. Easy Web Tip #255: Google My Business’s new Post feature is an easy way to stand out on a Google search results page.